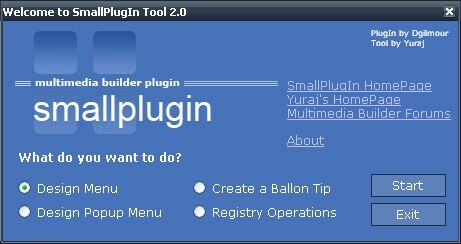 Do you want design menu/popupmenu or work with registry? Yes, now it's all possible fast, well and mainly simply. 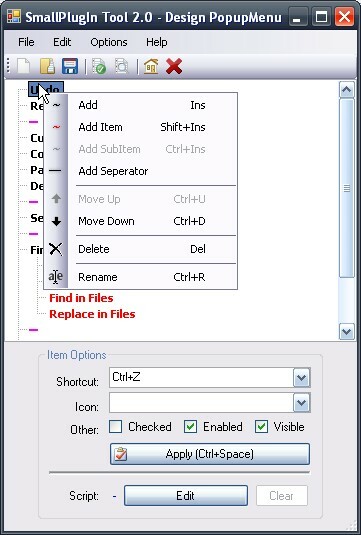 Design your menu, add items and set them options like ShortCut, Icon, Checked, Enabled, Visible. 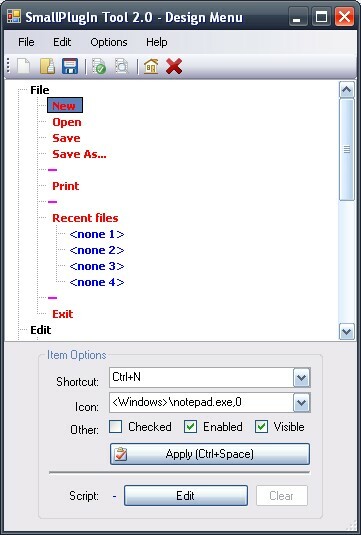 You can too set script for single items. 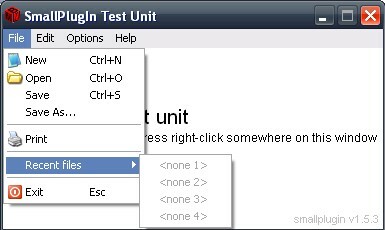 Preview the menu immediately in SmallPlugIn Tool (using MMB Application Test.exe). Save your big menu to a project file. No garbage in code (and no additionally lines like in older version). 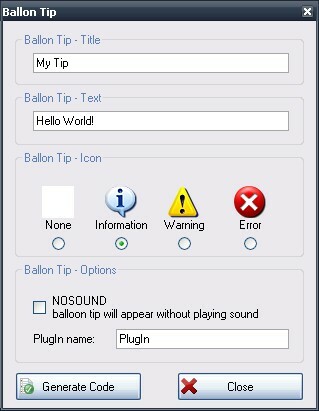 Create your own balloon tip by few clicks. 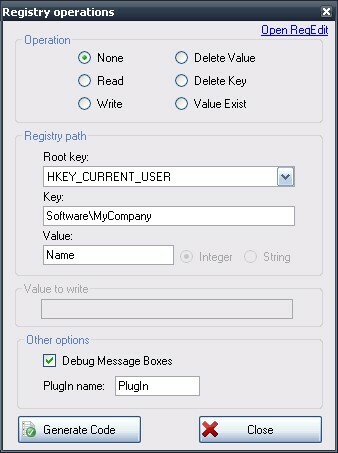 Work with basic Registry operations like Read/Write, Delete Value/Key or check if value exist.